Straight from the source comes the news of DC comics second wave of “New 52 series”. Nothing we know so far has any indication or implications for new Black Superheroes, but we remain ever optimistic. Sad to see Static go and it’s bad taste all around by Static and Milestone fans. Where are the thousands that clamored for a new static series? Where are the thousands who want Milestone comics to make a triumphant return? Where are the Millions of fans Static got from the tv series? Where is the support? (Shakes head) Sad day indeed! Mister Terrific? Can’t say we’ll miss that crappy book. More as it breaks guys! Awww man..i was hoping both titles would get progressively better with time. Shm, its all about the dollar bill.. Extremely low sales will kill a comic book title, completely. The book was kind of blaaah…. The stories we’re not good. Very little actin and the I don’t think writer Eric Wallace knows much about science to write a science oriented book. The villians he chose to oppose Mr. T coul have been stopped with a rolled-up newspaper. No antagonist was fleshed out well, and there was no building to a climax. Instead of running a story line over maybe 3 or 4 books, each on lasted two books with contrite conclusions. The artwork was also very inconsistent, just look at the covers of each issue as proof. In summary, Wallace made the book of 3rd smartest man on Earth an intellectual saltine devoid of any flavor whatsoever, so even a can of mental spray cheese would not have helped. 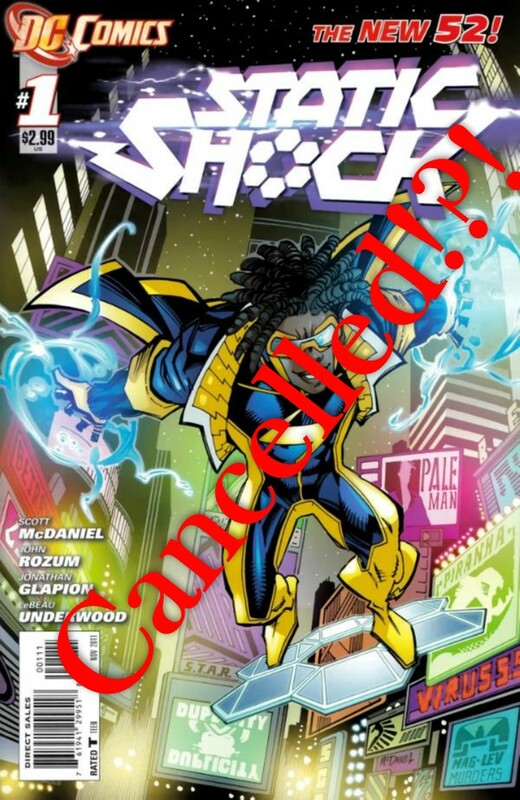 That’s why Black Superheroes’ books have low sales and get cancelled– poor writing and a lackluster effort producing quality artwork. As a brother, whose been reading comic book for 30+ years, I believed Mr. T deserved better. I saddened by this. Voodoo has been a surprisingly good read. Not the best thing out there but better than I expected. It has proven interesting more interesting than Batwoman in the long run. Mr. 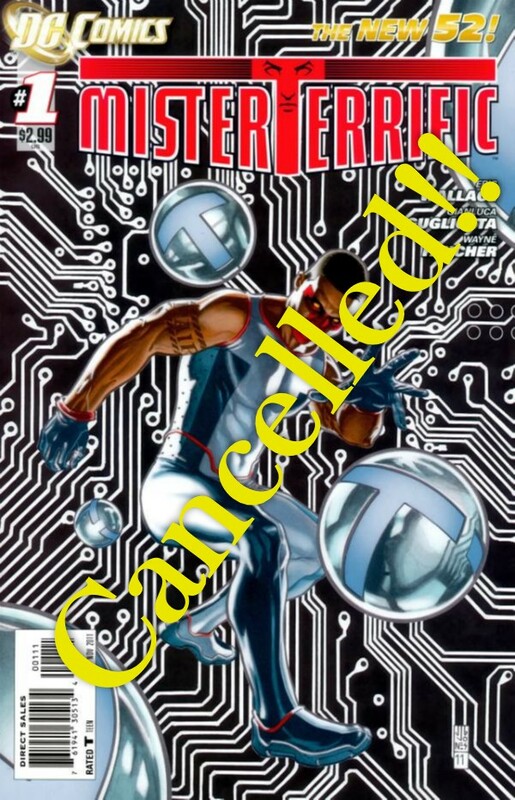 Terrific failed because DC didn’t give him a good creative team. Eric wallace’s writing was horrible and the art was even worse. The only reason I stuck with it was for the mystery surrounding Karen Starr/Power Girl. Mr. T will be showing up in JLA and we know Geoff johns knows how to write the character. Maybe we can get Mr. T as a supporting character in the Bat books. He’d make a great addition to Batman Inc.
Not suprised. Black.heroes are rarely the exposure they deserve.